Two brothers from Arizona have been mailing the same birthday card to each other for more than 40 years. Jeff and Ron Methier send the same ‘Peanuts’ card back-and-forth every year. 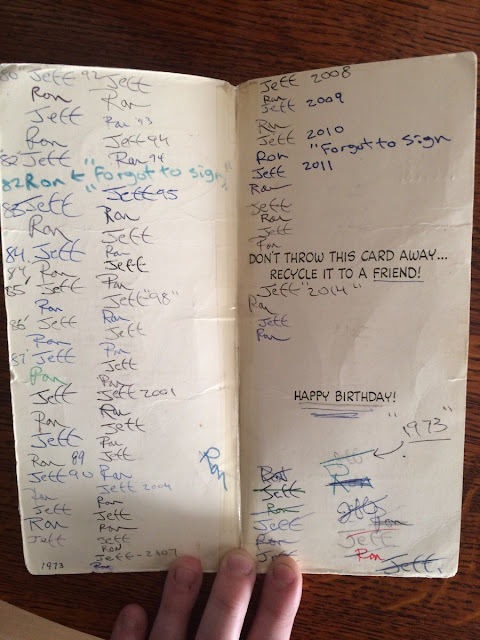 A photo of the card first appeared on Reddit, where the daughter of one of the men uploaded the photos, celebrating yet another birthday … Jeff’s 58th in 2015. 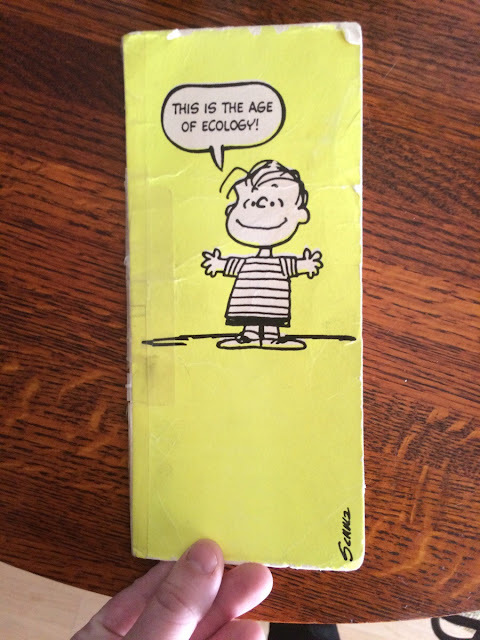 In the photo, the yellowed cover features ‘Peanuts’ character Linus with the words, “This is the age of ecology” written on the front. Inside, the message reads: “Don’t throw this card away…Recycle it to a friend.” And it looks like the two brothers took the message inside the card literally. The daughter told ABC News that her father, Jeff, purchased the card first and sent it to her uncle on his 22nd birthday. That was back in 1973. But Reddit users have been getting a kick out of one minor detail in the card. 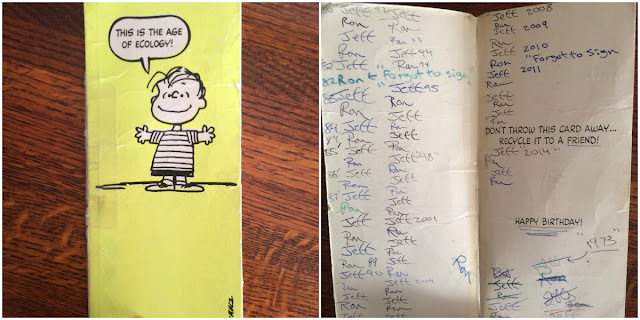 Ron forgot to sign the card twice in the last 40 years– once in 1982 and the other time in 2010. His brother wrote inside the card “forgot to sign” with an arrow pointing to Ron’s name. Users have been teasing the Methier brothers about the incident on Reddit. Regardless of the little mishap, over the years these brothers sure kept up with the tradition. And even though they spent some money on purchasing the birthday card, after 40 years the card remains priceless.